CENTRAL SQUARE – Although the Brewerton Speedway is usually associated with big block modifieds, mod lites and other racing machines, the speedway will host a completely different level of competition — woolly worm racing — at the 32nd annual Lioness Club of Central Square Apple Festival Sept. 26 and 27. 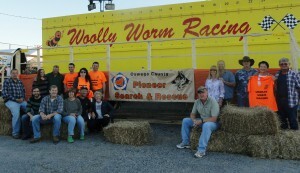 Members of the Oswego County Pioneer Search and Rescue Team, pictured at the 2014 Central Square Apple Festival, are credited with bringing woolly worm racing to Central New York. Woolly worm races will take place again this year at the festival Sept. 26 and 27. In addition to enjoying hundreds of crafters and vendors, entertainers, demonstrations and amusement rides, visitors to the festival will have a chance to race their own woolly worms and cheer on their favorites in races sponsored by the Oswego County Pioneer Search and Rescue Team. The festival will take place at the Brewerton Speedway, 154 U.S. Route 11, Central Square. Woolly worms, also known as woolly bear caterpillars, have been used to predict the severity of winters in the United States for years. According to folklore, if the woolly worm has more brown on its body than black, it will be a fair winter. If the worm has more black than brown, the winter will be harsh. Individuals, families, youth groups, businesses and organizations are encouraged to bring their own woolly worms and compete for a $500 cash prize. Registration starts at 9:30 a.m. and racing starts at 10 a.m. both days. The final race at 4:30 p.m. September 26 is for the $500 prize and the title of the Fastest CNY Woolly Worm of 2015. There is a $5 registration fee for each worm entered. September 27’s competition will feature races for cash prizes and trophies for groups, local businesses, and service organizations. Youth groups (age 18 and below) will race in the morning while the afternoon races are open to adult groups. 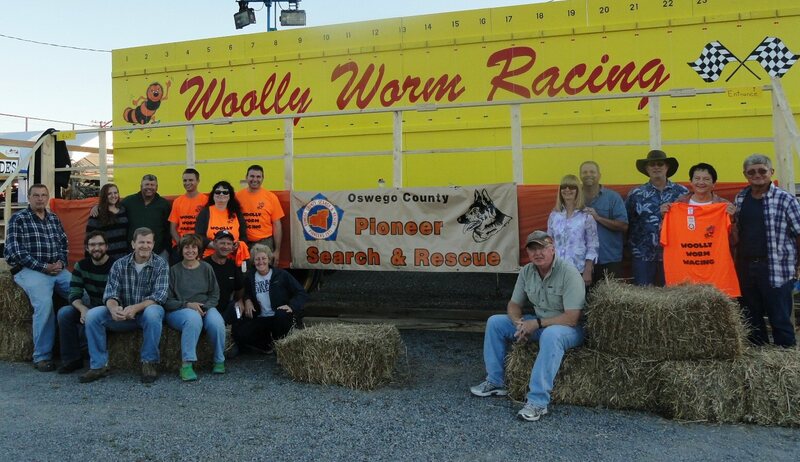 Proceeds of the woolly worm races will support the Oswego County Pioneer Search and Rescue Team, a professional team of trained civilians that assists in searches for missing persons in and around Oswego County. The Lioness Club of Central Square Apple Festival runs from 9 a.m. to 6 p.m. Sept. 26 and 9 a.m. to 5 p.m. Sept. 27. Rides will be open and food served from 5 to 9 p.m. Sept. 25. The festival entrance is located at the CNY Raceway Park, 154 U.S. Route 11, .4-mile north of the Brewerton Speedway. Free shuttle trams will be available. Golf cart shuttles, courtesy of NAPA Auto Parts, will be available for handicapped individuals. All of the festival’s profits are donated back to the community. For information visit www.centralsquareapplefestival.com, www.facebook.com/centralsquareapplefestival or call 675-8232.